Celebrating The Leap Year. | The girl who loved to write about life. Earlier in the year, I wrote a post about how 2016 had 365 fresh starts and new chances to be whoever we wanted to be, and someone commented and said, "I have good news for you: We get 366 of those this year." It's true! We get an entire extra day this year, one that you probably weren't planning on. So I have some suggestions for how you should spend it! Revisit one of your New Years goals. Did you make a goal to go to the gym more, but you've really only been twice? Go to the gym on Monday! Have a party you would never have otherwise. Looking for a reason to throw that obscurely themed party? Here you go! Catch up on something you fell behind on this month. Whether it's something boring like spreadsheets at work or something fun like an instagram challenge-whatever you're behind in, use Monday to catch up and get back on schedule! Start a new tradition. From now on, celebrate each leap year by watching a certain type of movie or eating a certain type of food. Do something you keep saying you would do if you had the time. Try out that new coffee shop or donate your old clothes to Goodwill or get your oil changed or whatever it is you keep procrastinating on. Warning: If you actually do this, you will have to find some other project to keep you busy procrastinating for the rest of the year. Or, come home from work and go to bed early and get way more sleep than you did last year. Hey, it's your extra day. Do whatever you want. Is it weird that I'm actually excited about Monday? It's like a secret extra day. Enjoy! Catching up on something you fell behind on is a good one! I love this! I may even feel a little inspired to start the weekend so I can get to Monday! Hmmm I think that getting the extra sleep sounds like a FANTASTIC idea! I love the idea of starting a new tradition! It would be so much fun to have something to look forward to every four years! These are all really great ideas. Funny story, I didn't realize it was a leap year until last week. I randomly got very stressed this week when I was trying to think of what we should do on the extra day this year. Apparently having fun is stressful, ha! I love these! Such cute ideas for leap year, I'm having a girls' fondue night on Monday. Cheese and chocolate are the perfect ways for me to celebrate an extra day! I'm glad I'm not the only one super excited when it's an Olympics year! I wish the 29th were on a weekend so I could do something crazy with my daughter and not waste such a potentially special day at school/work. Haha! We're finding out the gender of my baby on the 29th! 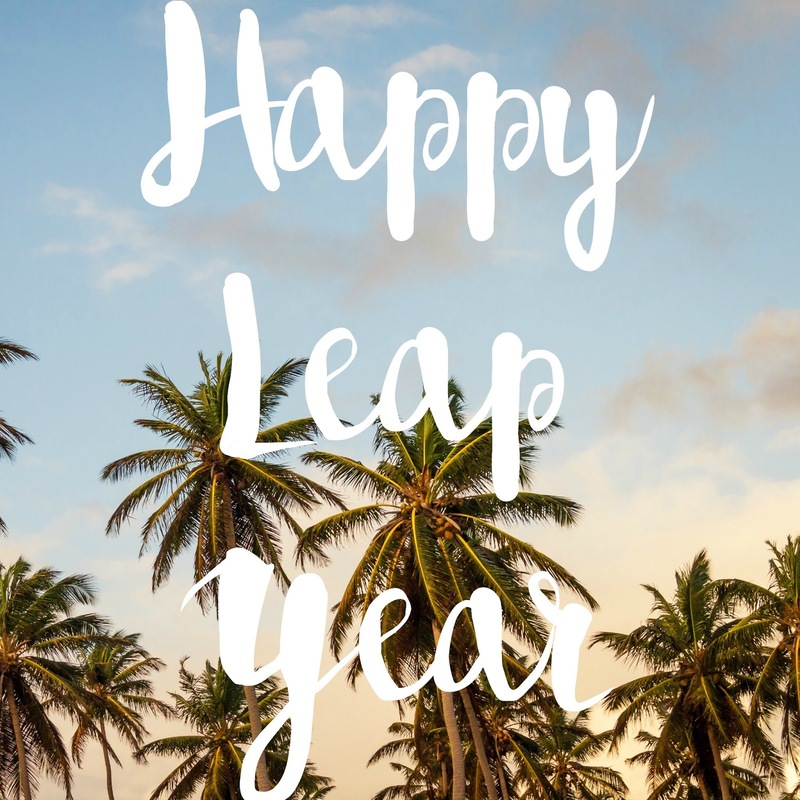 I can't think of a better way to celebrate Leap Year! Love this post! I think starting a new tradition would be so much fun!